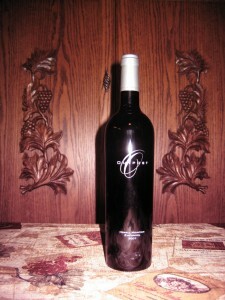 Cutting: An excellent medium bodied wine with vanilla, raspberry, cherry and pepper characteristics. Powerful toasty vanilla, raspberry, cherry and pepper aromas highlight the Outpost Zinfandel from Howell Mountain. On the palate, cherry, berry and pepper flavors predominate. Some tasters observed licorice and plum characteristics. This is an excellent medium textured wine with a fairly long finish.